What is SEO for Recruiting? Search engine optimization (SEO) has become increasingly important for any company that has an online presence, which in our digital society is more or less every company. For recruiting, this means that SEO is a key element that should be integrated into your strategy. Still not convinced? We'll explain what SEO is and why it is critical for successful recruiting in this article. To understand search engine optimization, it’s a little easier if we start by defining its goal. The overall goal of SEO is to have your website content rank higher in the organic search engine results, bringing you more website visitors from a qualified audience. To achieve this goal, your content must be created and structured in a way that is easier for search engines to crawl, which is what will help the content to rank higher in the search engine results. Why is SEO important in recruiting? To reach quality candidates in today’s digital world, your company's career page and job ads need to have an established internet presence. This is largely because the majority of candidates are going to be searching for a new job online. Or, if they aren’t currently searching for a job, the internet is also your greatest asset to reaching passive candidates. SEO increases the findability of your company's career page and job ads so that they don’t get lost in the world wide web. 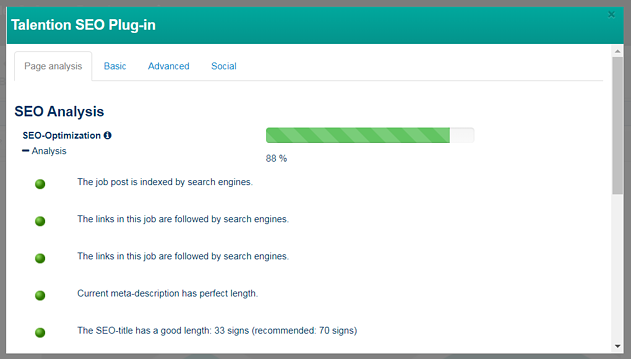 Your pages need to stand out and be one of the top results that candidates see when they begin their online job hunt. The current job market is quite competitive for recruiters. You have to stand out from your competitors as an employer of choice. 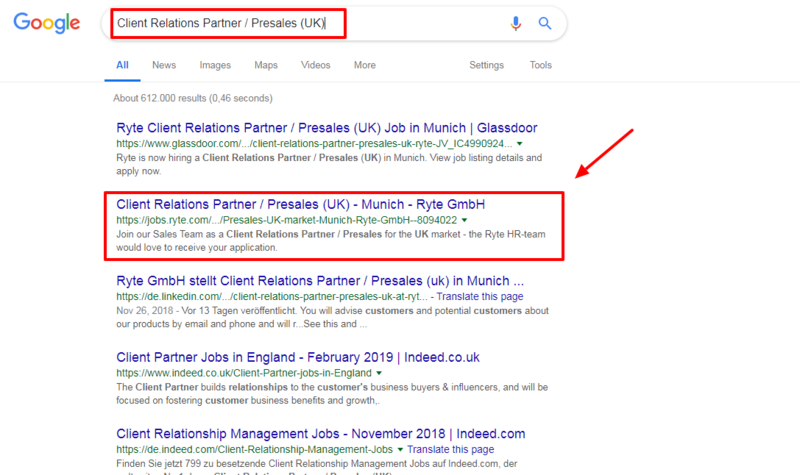 If candidates have to spend a long time searching before they come to your career page or job ads, they will potentially end up on a competitors page before yours. Through SEO, you can ensure that you are at the top of the page and the first result that candidates click on. A critical element of recruiting is making sure you stick to your budget. And posting your job advertisements on job boards can get expensive. Search engines are a free channel, making SEO a cost-effective way to increase your reach. If you save money through SEO, you can put it towards other aspects of your recruiting process. So, that brings us to the question - how can best optimize your SEO as a recruiter? Well, the truth is that while you can spend time learning how to do it own your own, it's much simpler with a SEO tool. With a SEO tool that’s integrated into your recruiting software, you can easily optimize your job ads, landing pages, and career page. Would you like to learn more about SEO? Talention offers a special SEO tool. We would be happy to show you best practice SEO examples and how the SEO tool works in the Talention software. Just ask for a free demo here and someone will get in touch with you shortly. Request a demo now.